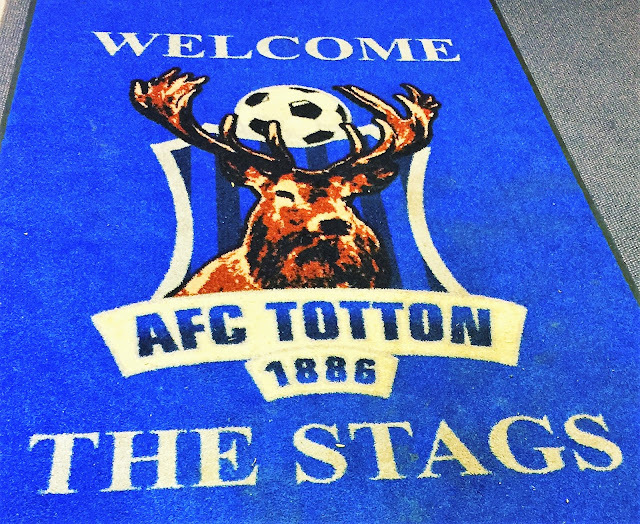 AFC TOTTON was founded in 1886 and were initially known as Totton FC. Playing in local leagues initially, they joined the Wessex League as founder members in 1986/87. 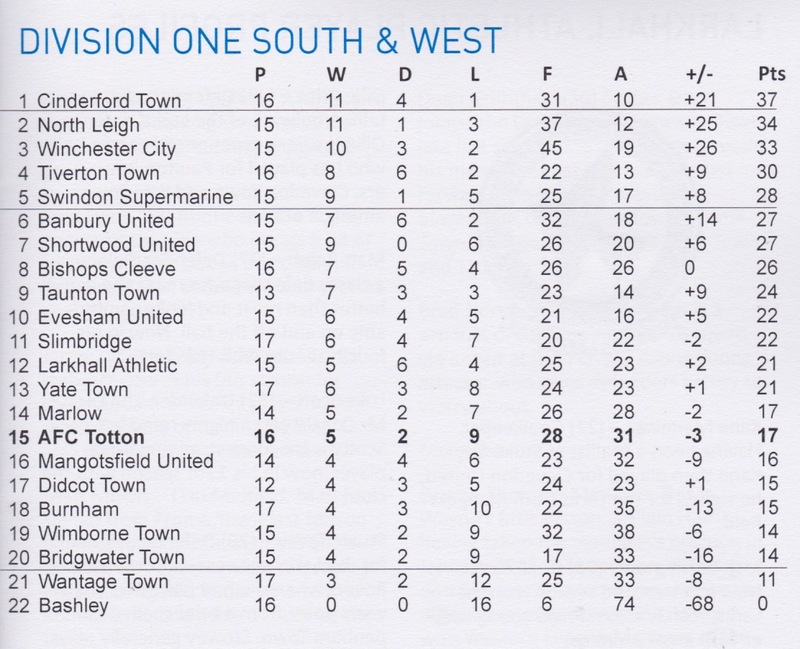 a 3rd placed finish behind Bashley and RS Southampton was an excellent start to their first season in the league. Indeed, despite a series of excellent finishes they didn't better it until 2006/07 when they were runners-up to Gosport Borough. 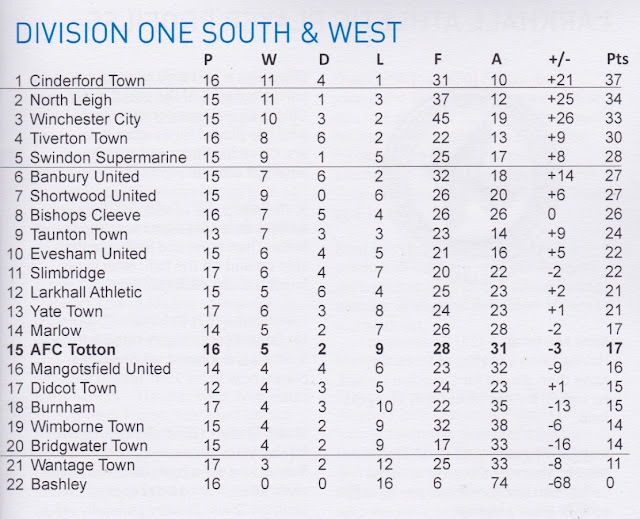 The following season they went one better and won the league, meaning that for the 2008/09 season they were promoted to the Southern League Division 1 South & West. 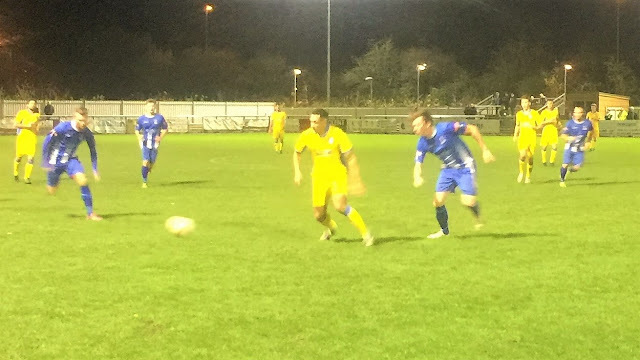 Two near misses in their first 2 seasons after they lost to Cirencester Town and Didcot Town in the playoffs were put right in 2011 when they were once more champions. I'd visited their old ground for pictures on the way to Southampton v Wycombe once, but it was time for pastures new as they moved into the brand new Testwood Stadium for their first season in the Southern Premier. They nearly made it a double promotion but lost to Oxford City in the playoff final after finishing 3rd. A mid-table finish of 14th followed in 2012/13 and the decline continued the following season when a 21st placed finish spelt relegation. After a 15th placed finish last season, they were in exactly the same position before tonight's game. In the FA Cup, the 2011/12 season proved to be their best so far. In the qualifying rounds, they beat Fleet Town, Clevedon Town, Weymouth & Handsworth Villa to set up a first-round tie against fellow non-leaguers Bradford Park Avenue. Home advantage would have made them alight favourites but they totally blew the Yorkshiremen away, winning 8-1. Bristol Rovers were the opponents in the next round, but in front of a record crowd of 2315 saw them lose 6-1 to the football league side. In 2007 the FA Vase final was reached but in the first final to be played at the new Wembley Stadium they lost 3-1 to Truro City. 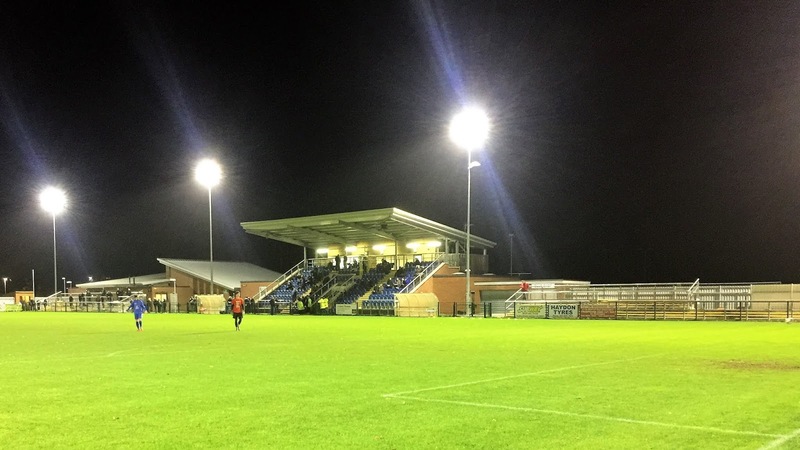 The FA Trophy 1st Round was reached in 2012/13, whilst the club has won a number of local competitions including the Perkins Charity Cup on 6 occasions. For the second out of three Tuesdays in a row, I would be without fellow groundhopper Anwar, this time because it was his son Hicham's birthday. The plus point of this was that I'd have free choice as to where to go, the bad news was that I'd be paying the full amount of petrol on my own. 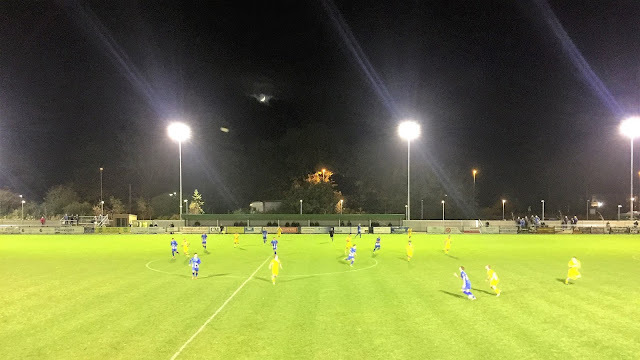 First choice was always going to be Farnham Town v Westfield - it was by far the nearest and it would also complete the Combined Counties Premier for me. But with the weather again looking dodgy and Farnham's pitch having let me down in the past, I was cautious about setting off without the word that it was good to go. 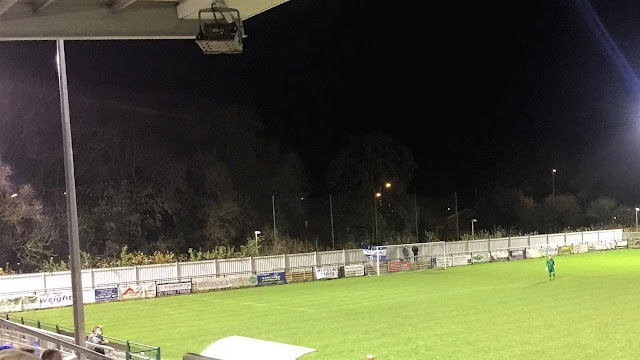 So a series of backups were planned, attractions were meeting fellow hopper Sheridan who has a blog called The Stadium Trotter at AFC Totton v Larkhall Athletic. The match that I really fancied was Herne Bay v Bury Town in the FA Trophy, but that was busting the budget of £20 a match I had set myself for each game in fuel alone. It would be another day of finger crossing and Twitter searching before I knew where I was going. On the day of the game I was stuck at home for most of the day waiting in for a parcel to arrive, but I wasn't that bothered as it was grotty out and I had no reason to want to go out until the time came to leave for football. Most of the afternoon was spent checking various Twitter accounts and forums, trying to establish where the evening’s football would be. 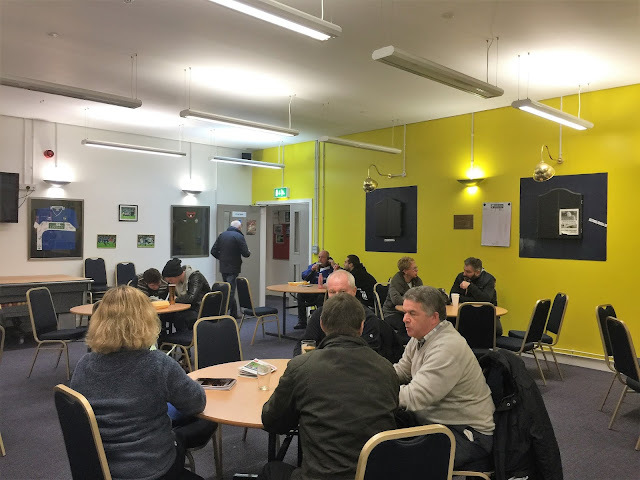 The downsides of clubs been run by volunteers was that they had work and so for a lot of the games confirmation would not be forthcoming until it was too late for me to travel. Although they were initially confident that the game was on, the Farnham Town v Westfield game was called off at 5pm, meaning that it was third time unlucky trying to see a game there, with only Pontefract Colleries proving equally elusive. I’d tweeted and phoned up Herne Bay, but with no answer, so I didn’t want to risk a wasted journey. So after careful consideration, I opted to go to AFC Totton, who had confirmed that their game was on. I had a quick dinner of risotto before leaving at 5.15. Sadly fellow hopper Sheridan would not me joining me as the trains were messed up, a total farce considering the high prices they charge. My trip was reasonable though the M40 was slow. The M25 was patchy as usual but not as bad as it could be, and large parts of the M3 were down to 50mph due to roadworks, but at least it was moving. I got to the ground at 7.10, paying £9 to get in, £2 for a programme and £3.20 for a pint of Aspalls, which helped me chill after a frustrating time trying to find a game. I checked out Facebook and read the programme in the bar while I waited for the game to start. 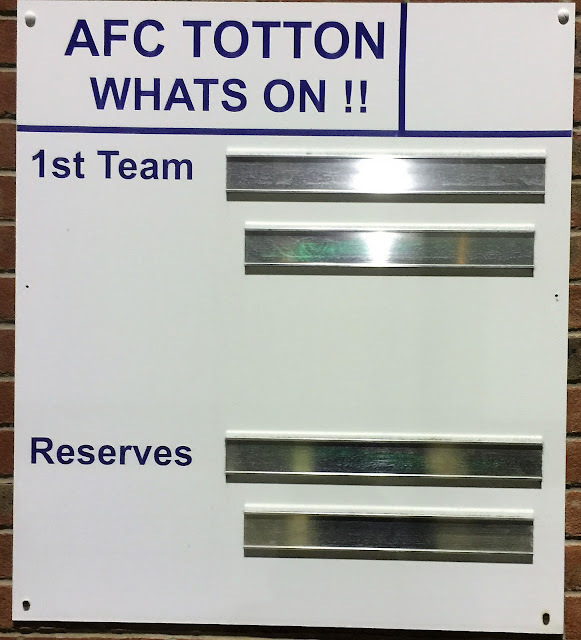 AFC Totton totally dominated early proceedings forcing a number of good saves out of the visiting keeper Kane Mannings. But it was Larkhall who opened the scoring on the break, 8 minutes in. Left back Jamie Lyons picked up a loose ball in Totton's defence and slotted home from around the edge of the area. The game continued in Totton's favour and they looked particularly dangerous from the flanks. It was from one of these crosses that set up Jake Burgess's equaliser on 32 minutes. At half time it was still all square but it had been a good half with both sides trying to play good football. 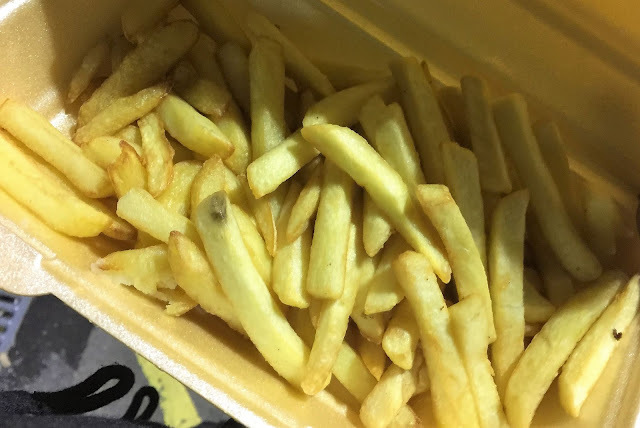 Due to having dinner early I was hungry by halftime and so got myself a decent sized portion of chips for £1.60. 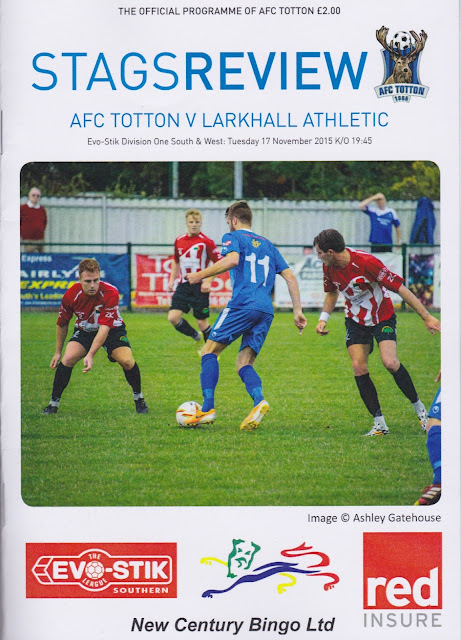 Larkhall started slightly the strongest but again it was good wing play that benefited Totton. A good low cross was put in from the right and Nathaniel Sherborne was left with a simple tap-in on 50 minutes. Despite the strong winds, both sides continued to play some good stuff and create clear chances, though nothing clear cut was really emerging. In the end, Totton clung on for the 2-1 win, sending the majority of the 200 strong crowd home happy, though Larkhall had played their part in an entertaining game. I left the ground at 9.40 and listened to the England v France game on the way home. England won 2-0 on a night that was more than about football following the murders by terrorists in Paris last week. The journey home went pretty well, though the M3 was still closed for the same section that had delayed me on the way back from Alton last week. So I came back via Basingstoke and Reading and saved myself 10 miles in the process. I got in at 11.05 and watched TV before going to bed just after midnight. 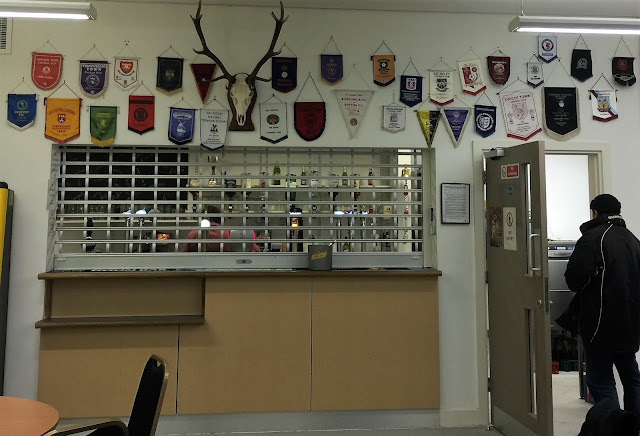 There is a nice sized bar at the ground, and this is decorated mainly with AFC Totton memorabilia but also some things from other clubs, especially those they have played in big games such as Bristol Rovers. 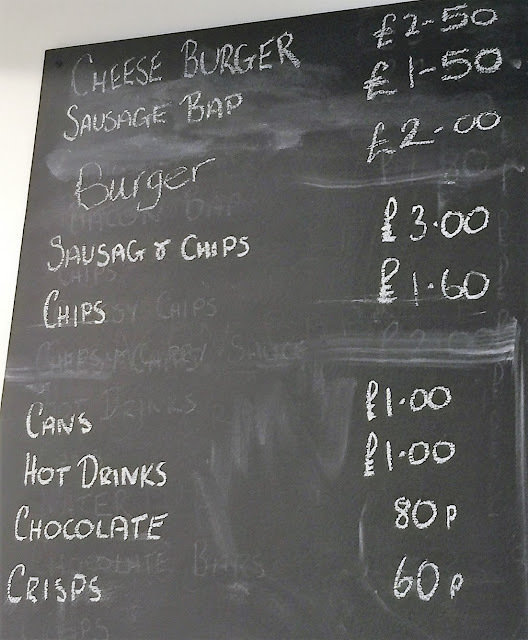 Drinks are good enough value, probably less than you'd pay in a lot of pubs. The tea bar has a good range, and the portion of chips I had was good value at £1.60. The club shop was closed when I went, so I didn't get to see what was on offer. I didn't venture into town, but I don't think it's too far away.